Canadian children’s animation prodco Nelvana and Discovery have appointed an executive from Spin Master Entertainment to oversee its recently formed joint venture, which has two shows in the works. Patricia Burns has been named executive manager and supervising producer at Redknot, with a remit to oversee the company’s full production and development slate. Burns was most recently senior director of production at Spin Master where she was responsible for overseeing the production of all series and shorts including Paw Patrol, Bakugan: Battle Planet and Hatchimals. Redknot, which was first mooted at the end of 2017, has also greenlit two new animated series, The Dog & Pony Show and Agent Binky: Pets of the Universe. 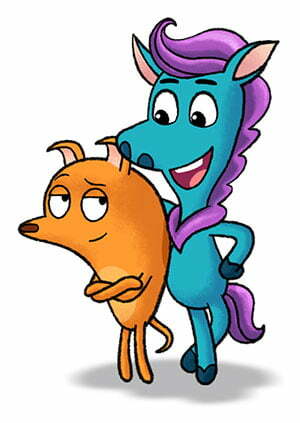 The Dog & Pony Show (52×11′) has been created by Little Airplane Productions founder and CEO Josh Selig and is being produced by Burns. It follows the friendship between a dog and a pony as they embark on hilarious and unexpected adventures when they move to the big city. 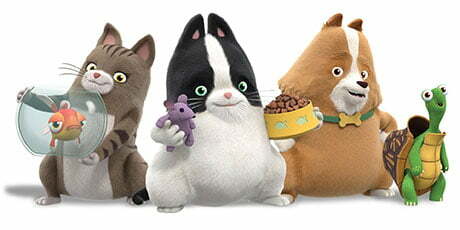 Agent Binky: Pets of the Universe (52×11′) is a 3D animated series following the adventures of Binky, a house cat with a curious and imaginative mind. It is based on the Kids Can Press graphic novels, written and illustrated by Ashley Spires. Key executives from both parent companies, including Scott Dyer, president of Nelvana, and Carolina Lightcap, exec VP and chief content officer of Discovery Latin America/US Hispanic, are members of the board. Corus Entertainment-owned Nelvana last week revealed it was working with Japan’s Sumitomo Corp to develop a hybrid 2D/3D series based on car brand Bandai Spirits for the Japanese market.